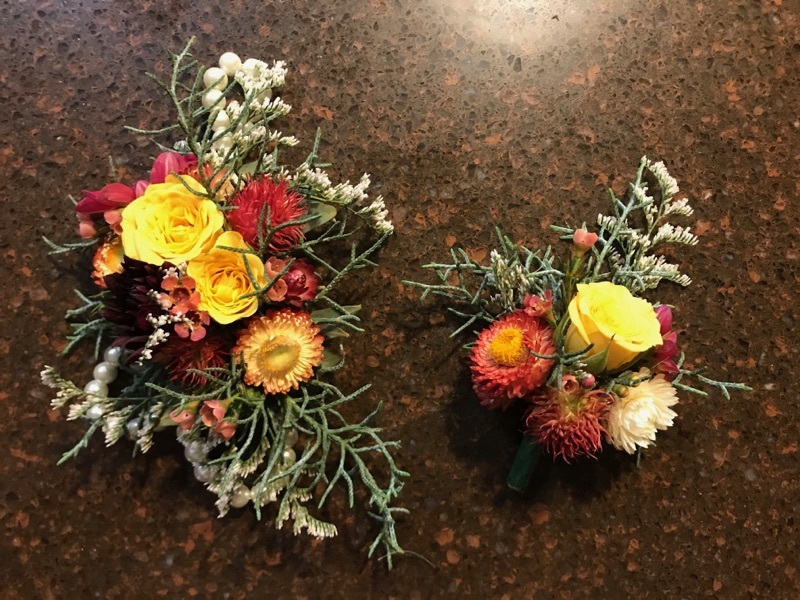 Whether it’s for a special event, wedding, or prom, our corsages and boutonnieres are designed to order with your favorite color flowers in mind. Depending on the type and number of flowers, our prices range from $10-$50. All of our arrangements are designed by request with various colors, types, and sizes of flowers and greens. Prices vary. Come out and pick your own flowers! Fill a bucket or five, and pay by the bunch. Prices vary depending on the flowers.